Melissa Bashardoust’s acclaimed debut novel Girls Made of Snow and Glass is “Snow White as it’s never been told before...a feminist fantasy fairy tale not to be missed” (BookPage)! Sixteen-year-old Mina is motherless, her magician father is vicious, and her silent heart has never beat with love for anyone—has never beat at all, in fact, but she’d always thought that fact normal. She never guessed that her father cut out her heart and replaced it with one of glass. When she moves to Whitespring Castle and sees its king for the first time, Mina forms a plan: win the king’s heart with her beauty, become queen, and finally know love. The only catch is that she’ll have to become a stepmother. Melissa Bashardoust received her degree in English from the University of California, Berkeley, where she rediscovered her love for creative writing, children’s literature, and fairy tales and their retellings. She currently lives in Southern California with a cat named Alice and more copies of Jane Eyre than she probably needs. 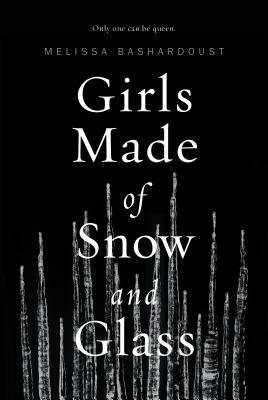 Girls Made of Snow and Glass is her first novel.